Local, state, and federal law enforcement community, Counterdrug units, Department of Homeland Security, Customs and Border Protection, Immigration and Customs Enforcement, High Intensity Drug Trafficking Area (HIDTA), fusion cell operations and intelligence analysts, military staff officers (J3 / J2), and prevention coordinators. There is no cost to attend this course. Law enforcement and prevention communities stress the importance of predictive analysis to efficiently match limited resources with effective policing strategies. Similar to predictive policing, the Intelligence Support to Mission Planning course teaches the steps of analyzing an operational environment in order to fully understand the problem set and identify solutions. This analytical method creates a holistic picture that includes terrain, weather and climatology, political and civil infrastructure, population, criminal patterns of behavior, equipment and capabilities, and courses of action. Predictive analysis assists commanders and mission planners in their decision-making process. It supports planning for disaster relief, counterdrug and criminal investigations, prevention coordination, military operations, and Defense Support to Civilian Authorities (DSCA). The intent of this course is to demonstrate how thoroughly analyzing the environment will create a predictive assessment in order to identify solutions and plan and direct effective operations. By achieving information superiority and predicting the threat’s most likely courses of action, we can focus intelligence collection efforts and plan operational missions that will deny the threat’s freedom of movement, disrupt potentially violent actions, and effectively address high-risk problem sets. Students will learn the steps of the intelligence analysis process through classroom demonstration and will then create an environmental assessment of their own area to use. Intelligence Support to Mission Planning is a 4 day (32 hour) course. Operations and mission planning, intelligence analysis, and/or supervisory experience is recommended. There are no scheduled classes available at this time. 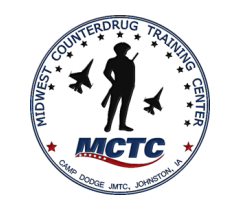 MCTC provides on-site and mobile training of the highest quality at no cost to the student to all those involved in the fight against drug trafficking and substance abuse. If you are interested in hosting an MCTC course, click here.